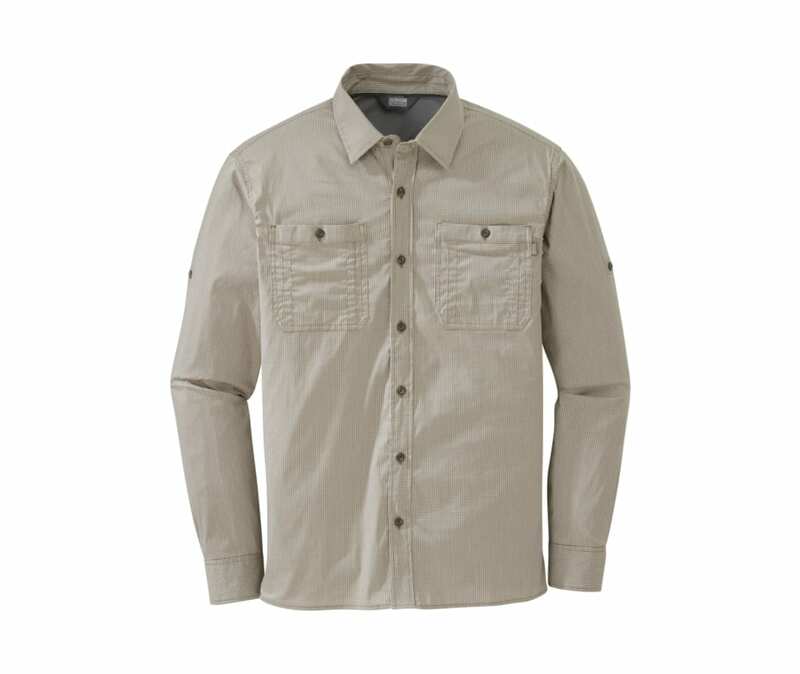 Chameleon your way in anywhere with the Onward Shirt. From trail to travel, gusty climates to sun-soaked summits, the Onward's versatility will surprise even the one who wears it. A poly/nylon/spandex blend infused with UPF 50+ keeps skin free from harmful rays while allowing all-over breathability, moisture management, and lightweight comfort that won't compromise your ounce-saving trip list. Button chest pockets, a curved hem, and an AirVent inner back yoke show just how detail driven our designers are to outfitting your hiking, fishing, and basic outdoor living needs.